Our backup solution has two components: Backup agent and Backup manager. Backup manager - a web based console for customers to manage their backup policies and their server backups. Backup agent - a passive software agent installed on your business server for synchronizing the data between Backup manager and your server. This tutorial covers the installation and configuration of Backup agent for Linux, in particular, CentOS, RHE and Fedora, using RPM approach. Download the Backup Agent with the following link. Make sure a correct version of Backup agent is downloaded for your server. If you are uncertain which version you should download, please contact your administrator. Please click here to proceed to Download Area. Make sure you can unzip the download. Most Linux distributions come with the unzip utility. You can determine the availabiliy of unzip by the following command. You will see the following screen when complete. b) Now move the archive file to the temporary directory you just create. Make sure you type the name correctly as Linux file names are case-sensitive. This extracts all files from the backup agent zip package. 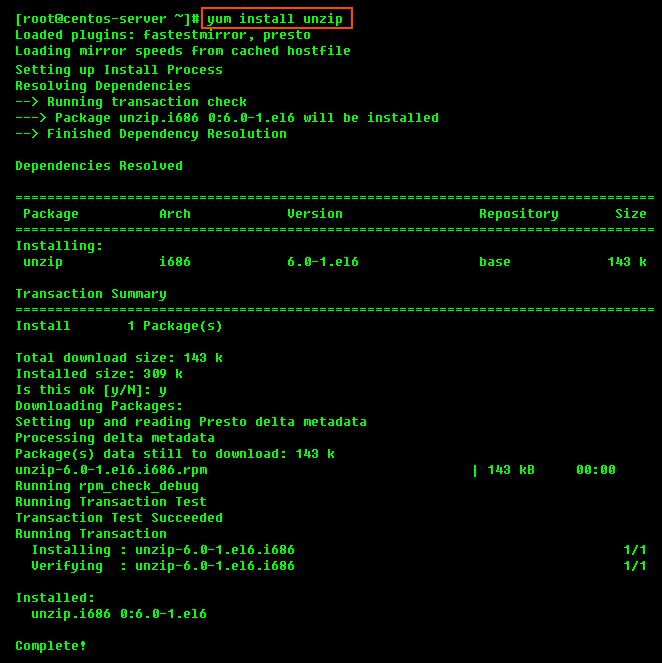 On RedHat and CentOS, select .rpm package. You will need to install all these files in one step. 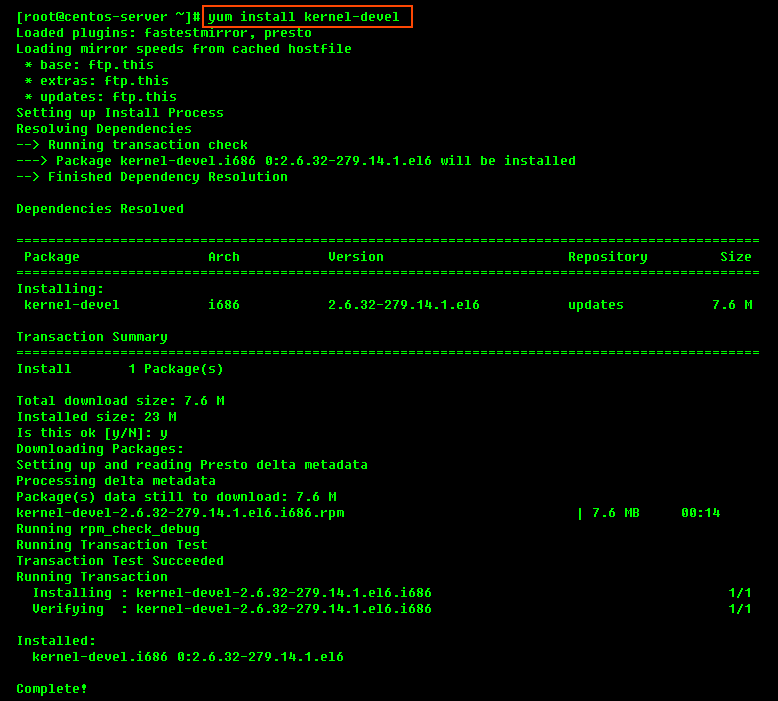 Use the cd command to go to the folder with the packages, and run the following command as shown in the screenshot. Server Backup Device Driver is a proprietary, loadable Linux kernel module distributed by Idera. It is loadable at run-time without restarting Linux, and you do not need to recompile your Linux kernel to use it. Idera does not provide prebuilt modules anymore. Therefore, you will have to compile the module from source. Note: You need to have loadable modules enabled as a feature in your kernel. This is standard on all popular Linux distributions. a) Compiling Server Backup Kernel Module against source tree. You will have to compile the kernel module using the kernel headers. The program serverbackup-setup will obtain all the information needed to compile a module from your running kennel. You can test connectivity with the following command which may take a minute to run. Sometimes, the kernel-devl package is newer than the installed and running kernel. If the running kernel is not the latest version and the matching kernel-devel package cannot be found, please follow the instructions on how to set up access to older yum packages as documented here. If module has been compiled and installed successfully, you will see an output similar to the following. e) Copy the generated tar.gz file to a computer with Internet access. f) Go to https://krnlbld.r1soft.com/ and upload the .tar.gz file to build a kernel module. g) After the build, you will download a kernel module. h) Copy this module to your Linux Server and place it in the folder /lib/modules/r1soft. i) Restart the Agent with the command: /etc/init.d/cdp-agent restart. For security reasons, the Backup Agent accepts connections only from known Backup Managers. To authorize a Backup Manager to the Backup Agent, you must add the Backup Manager's public key to Backup Agent's configuration. The example uses 172.18.3.51 for Manager's ip address. You may also enter the command as follows. If you do not have the Backup Manager's ip address, please contact In2net support. Firewall tcp port 1167(default) must be open. Once the Manager Key has been added, requests from the Backup Manager shouldbe accepted.